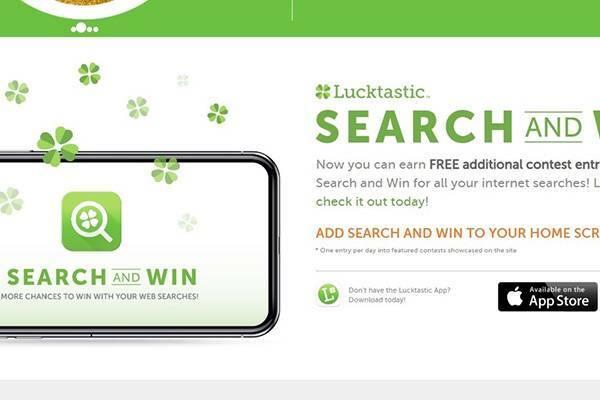 Lucktastic lottery app is the latest leading lottery company that has been delivering instant prizes, daily rewards and cash prizes to it users free of charge, all you have to do is watch some videos and play some games, get points for doing just and then exchange the points for instant prizes or save to redeem gift or cash prizes! It has been named one of New York’s fastest growing companies. It is also reported to reach about 12 million people weekly users coming back to try their luck on the big win every time. There have been a lot of winners emerging daily for instant prizes and big winner from all around America. Are you tired of buying lottery scratch cards that don’t yield anything? Playing bingo and still go back home empty? Then you don’t have to worry anymore as with Lucktastic app from the comfort of your home using any of your electronic gadgets, you stand a chance to win superb instant prizes and thousands of dollars in cash prize. With two big winners of $25,000 and $10,000 respectively and so many other cash prizes in 2017, Lucktastic is an online lottery app that offers its participants a legitimate and genuine shot at winning big in lottery. 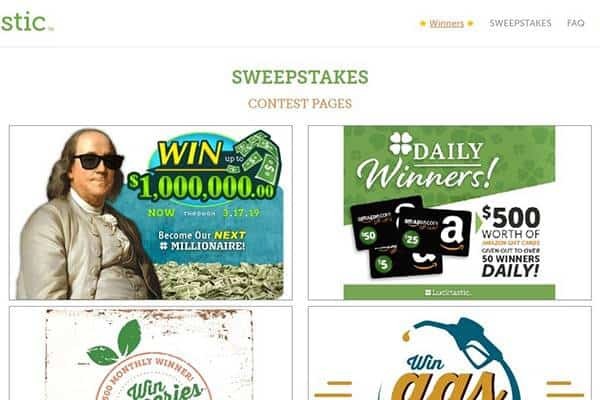 There are so many various way with participants can win big with Lucktastic and these ways includes – scratch cards, tokens, cash prizes, instant reward , contests and daily rewards. 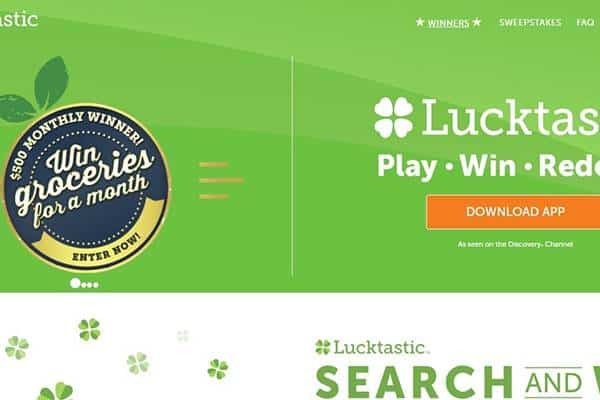 There are so many ways to win with Lucktastic as there a lot of lottery play options which gives the participants higher chances of walking away better than before. 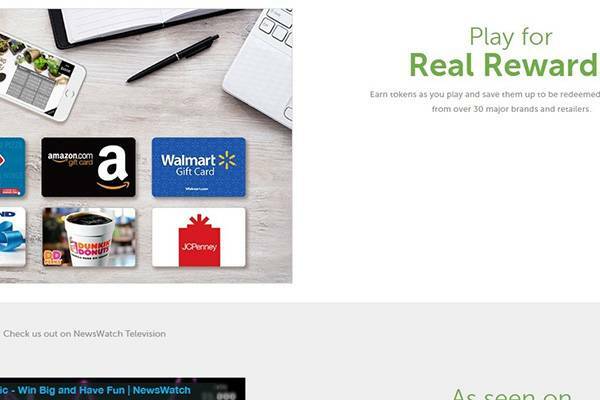 Once you enter the site, to amass points which in turn wins you cash, you have to watch videos and at the end of every video, you get a scratch card and a big chance to win cash prizes or points and whether you win or not there is always a bonus point awarded to you for watching which you can keep. With these points you can participate in the sweepstakes and stand a chance to earn more points of even cash. Also, there are tasks such as surveys which when you complete successfully earn you points as well. Lucktastic was originally made for mobile users to prevent participants from purchasing tickets from stores. The app can be downloaded from online store such as the Google play for Android and App store for Apple gadgets users. The Lucktastic app is suitable for all types of electronic devices be it mobile phones, tablets or computers. Lucktastic offers daily rewards to participant for using the app and a mystery reward to participants once they have played for five days consistently. This daily reward are shown to the players at the section for rewards and mostly they are points while the mystery rewards can be tokens, contest entries and many more. For the giveaway prizes, there is a time period and rules attached to it, so if you are the lucky winner the terms are there and the instructions on how the gift can be claimed can also be found there. For the cash prizes, once a participant has won it, they get a notification which contains a claim prize link and from that link just follow the rules and regulations and your cash prize will be sent to you usually in the form of a cheque. There is no deposit required to claim your prize just a valid proof and sign an affidavit of ownership and publicity release and the prize is all yours. Visitors to Lucktastic will find a very useful FAQ page that is categorized for easy navigation. This page should be cover most issues that players might encounter. It a good thing this page is well thought off as there is one channel for reaching customer support – contact form. I’m missing a more direct channel, live chat or phone, for urgent issues. Is Lucktastic legit or fraud? The site is actually a legitimate site and is currently in partnership with major league baseball players association acting as the official representative for all baseball players. In 2016 it was named as one of the most addictive apps and also named as one of the 20 best quality apps source. 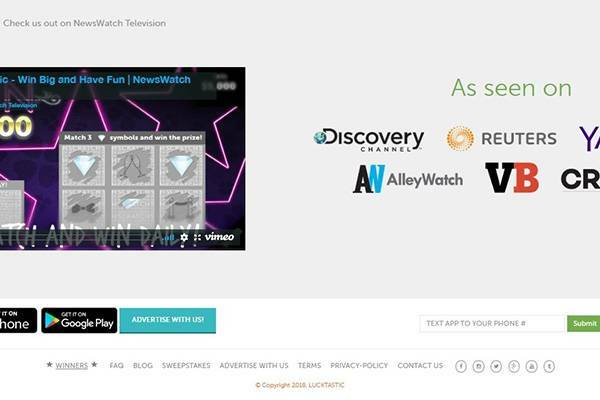 They are also in partnership with so many other companies such as Marvel, Zynga, Rhapsody and many more. Although some claims that it is not genuine has been going around, there is no real proof that the app is a scam just some dissatisfied customers. 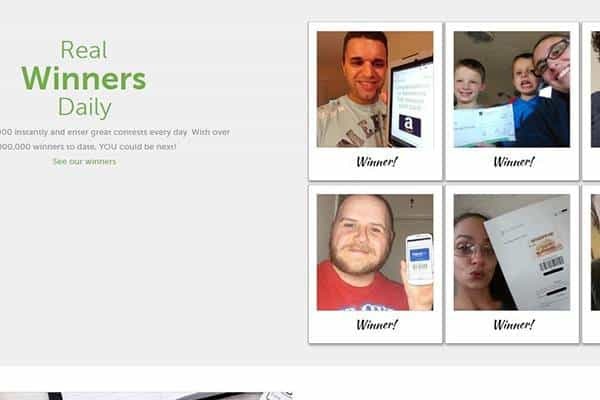 With Lucktastic, you don’t have to be experience as it was created both for novice and experienced players, the websites contain blog site to keep the user updated about its progress and it is becoming so popular and so many winners emerging daily. According to one statistics 65% of the users are female and 35% males with young users (between 18 and 34) making about 70%. So whether you are a woman, man or a young person you can download it and stand a chance to win big.